A simple three-course meal cost a tourist 4,000 yuan (US$634.4) at a seafood restaurant called Fulin on January 25. Several bosses of Hainan seafood stalls on Thursday admitted that they inflated prices as taxi drivers and tour guides all demanded kickbacks, Guangzhou Daily reported. The rebate rate could reach as high as 40 percent, and seafood restaurants that did not rip off customers were alienated by other competitors. 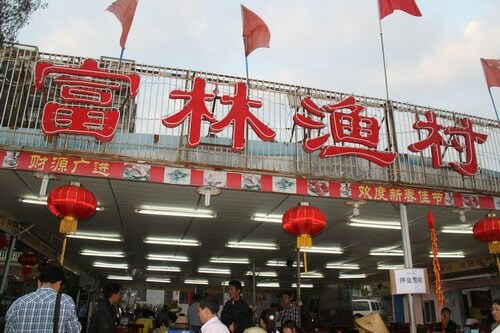 Zhang, who had opened a seafood restaurant in Sanya City, said that almost all large-scale seafood stalls had agreements with taxi drivers on rebate rates. Normally once taxi drivers brought visitors to the seafood stalls, they will get kickbacks equaling 20 to 40 percent of the customers spending. Almost all the seafood stalls nearby set the same price on the same types of products as agreed upon by all. If one store broke the fixed prices to sell goods cheaper, it would become a target by the others.